France took the lead on 18 minutes when Mario Mandzukic scored an own goal from a free-kick. 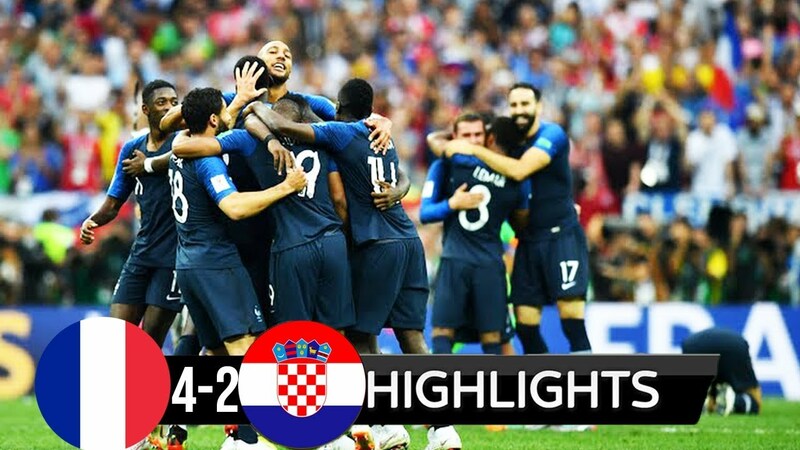 Croatia equalised on 28 minutes when Ivan Perisic pounced with a devastating left-foot finish. France were awarded a penalty on 36 minutes after the use of VAR decided Perisic had handled the ball. After waiting an age to take the spot-kick, Antoine Griezmann duly converted from the penalty spot. Paul Pogba extended France's advantage on 59 minutes when he curled home an effort with his left foot. Kylian Mbappe added a fourth just six minutes later with a long-range right-footed strike. Mandzukic pulled one back on 69 minutes when France goalkeeper Hugo Lloris made a catastrophic error.